LEGAL action has been taken against Rockhampton Regional Council to stop free camping at Kershaw Gardens. CPAOQL filed the application on December 11 claiming it was "unlawful use" of the land and requested a Material Change of Use of the 2.18 hectare property. Opening in 2014, the free camping ground has been a hive for travellers passing through the city. Malcolm Fletcher, one of the travellers to set up camp there in August 2014, said the free camping area was a "good move" for Rocky and believed what he saved on camp sites he spent in the local community. But owners of the region's caravan parks aren't happy with the grounds, saying it's taking their business. Although deserted yesterday afternoon, several owners have expressed their concerns to CPAOQL saying the Kershaw Gardens camp ground was "detrimentally impacting upon members" and impacting visitor numbers in both peak and off season. Over the three years since opening, it was alleged that caravan park owners have written to the council and State Government numerous times raising these concerns. It was reported the responses from both parties did not indicate the free camping would stop. 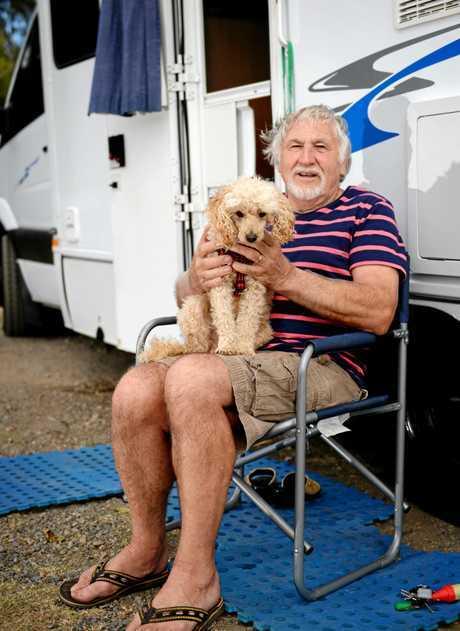 Only months ago, the Central Queensland public reacted to a Morning Bulletin report with two travellers saying they would never go back to Yeppoon as it had no free camping. The report published in August gained a huge reaction of mixed opinions from grey nomads across the country. The same reaction was also received from travellers after Banana Shire's decision to ban more than 48-hour camping around Lake Callide Retreat. Campers sat in on a council meeting in August outraged by the decision saying they "wouldn't bother to come" to leave again a couple of days later. 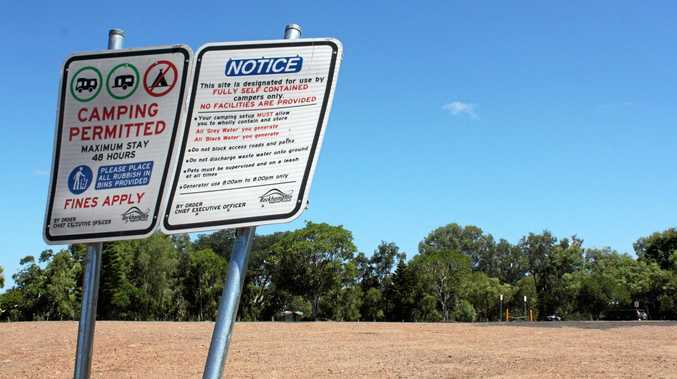 Caravan Parks Association of Queensland have requested Rocky council take steps to reinstate the land to its original glory. These included restricting the use on the land by erecting signage at the Hight St and Moores Creek Rd frontage which advised travellers free camping was no longer permitted. Chief Executive of Queensland Tourism Industry, Daniel Gschwind, said it was up to the courts to decide the outcome. "The application challenges the use of this council land for camping and asserts that it is incompatible with the current, legal land use provisions," he said. "It is entirely within the rights of the applicants to seek clarification." CPAOQL also requested the council pay for the costs involved in the legal action and any following. Rockhampton Regional Council CEO Evan Pardon said it would be inappropriate to comment. "Given that the matter is currently before the courts, council is not in a position to comment," he said. The case will be in the Brisbane Planning and Environment Court on February 1, 2018.